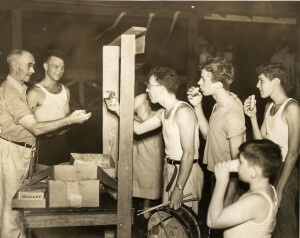 Established in 1918, Camp Winnataska is located east of Birmingham, in St. Clair County, between Leeds and Pell City. For 96 years, Winnataska has offered a wide variety of quality programs for young people, both girls and boys. Camp Winnataska is a 501(c)(3) nonprofit traditional overnight summer camp, run by a private board of directors and supported by Friends of Winnataska Inc., also a 501(c)(3) nonprofit corporation, with the goal of raising funds for the camp. The ecumenical facility is open to people of all faiths. The camp and its leadership has always included people of the Catholic and Protestant faiths, as well as Jews and people of other world religions, and of no religion. “Dr. 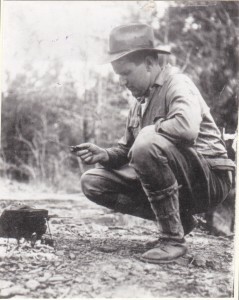 Elwyn Ballard, commissioner of Boy Scouts in Birmingham, and his wife, Florence Aye Ballard, discovered this site in 1914 and became vital forces in the founding and growth of the camp. Boy Scouts and Boys Club members from the area first camped here in tents in 1916. 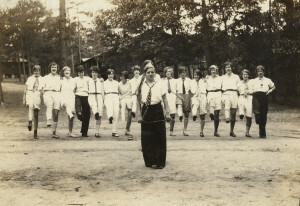 Through Dr. Ballard, the Interdenominational Birmingham Sunday School Association acquired the camp in 1918 and offered sessions not only for boys but for girls as well—the first organization-sponsored camping for girls in Alabama and among the first in the South. 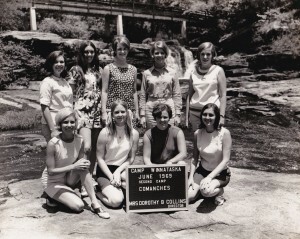 In 1986, Camp Winnataska and the Boy Scouts, Birmingham Area Council, formed a joint venture to operate the Camp Winnataska Outdoor Education Center. In 2006, Winnataska dissolved the joint venture with the Boy Scouts. In January 2007, Winnataska began a new era when the camp established its own board and nonprofit status. Children from all areas of the state, and from all walks of life, gather together at this camp for a week or more of old-fashioned fun in a traditional camp setting. One of the original attractions of the locale was that it was a wholesome place that moved Birmingham youth out of the smog and fumes of the steel industry during the summer months. What makes Winnataska special are the tens of thousands of campers and leaders who have walked through the camp gates, were shaped by the place and who shaped the camp to be what it is today. Camp thrives because of its alumni who continue to volunteer for camp, send their children to camp, and support its annual fund.